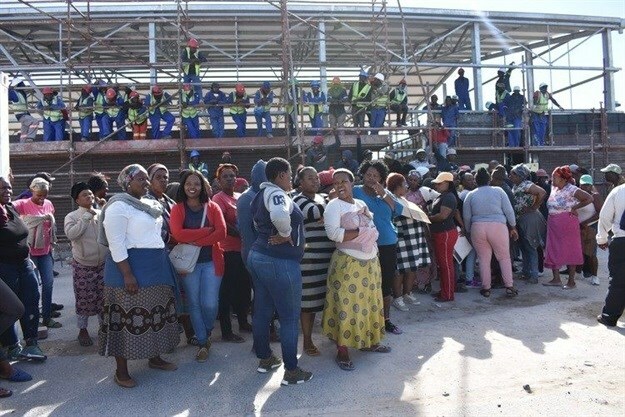 Residents of Lower Crossroads in Philippi, Cape Town, brought construction of a new school to a halt on Tuesday, 26 March, demanding more jobs for women and for residents. Police kept a watchful eye on the protest but did not intervene. Kwa-Faku primary school is scheduled to be completed before the end of the year and opened in 2020. Article produced for GroundUp by West Cape News.